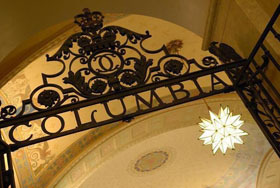 Columbia is a member of the HathiTrust Digital Library, a vast repository of nearly 9 million volumes, 2.5 million of which are full-text searchable. Though international in scope, The HathiTrust collection is especially useful for magazines & journals published before 1924, US government documents, and multi-volume works. The interface offers a variety of views: page, scroll, flip, thumbnails, ascii text; and supports PDFs downloads of selected pages or the entire document. 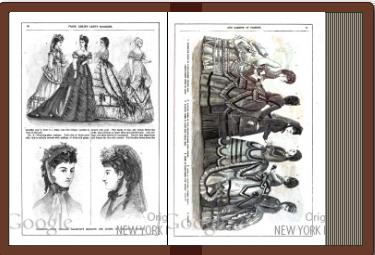 Here are a just a few HathiTrust journals that are indexed in the Readers Guide Retrospective, but not currently available online from other sources: The Survey, The Delineator, Ladies Home Journal, Forum, The Independent, Good Housekeeping. Due to the complexity of serials cataloging, there are sometimes multiple records in the HathiTrust catalog for the same journal. CLIO also includes links to HathiTrust content, either as separate records, or as links in the sidebar in catalog records for paper subscriptions. If you don’t find the years you are looking for in CLIO, be sure to search the HathiTrust collection separately. Because they are based on deposited collections, some of these journal runs are currently incomplete, but as the HathiTrust collection grows, these gaps should be filled. In May 2011, The HathiTrust Research Center was formed to support "computational access for nonprofit and educational users to published works in the public domain stored within HathiTrust." If you any have questions about accessing, searching, or downloading material in the HathiTrust Digital Library, or in any other collection, please let us know. This entry was posted in Books, Databases, History, Literature and Language, Women & Gender on July 15, 2011 by Sarah Witte.